CREATIVE EXPRESSION FOR VITAL MINDS. Our mission is to support school districts to ensure every underserved student in America has arts education via a national service arts corps. ArtistYear, a proud new part of the AmeriCorps network, is the first national service program that enables artists to dedicate a year of service to our country. ArtistYear believes the arts—as vehicles for critical-thinking, empathy, self-discipline, social bonds, and civic engagement—are imperative for a thriving democracy. Our vision is to develop engaged citizen-artists committed to strengthening the fabric of our nation. How? By providing every underserved student in America with access to arts education via national service. ArtistYear recruits, trains, and supports artists who seek to harness their unique skills and dedicate themselves as full-time teaching-artists to underserved youth. ArtistYear is dedicated to enhancing school engagement, increasing civic behaviors, and developing student artistry for vulnerable youth populations: economically disadvantaged students, English Language Learners, and students of color. 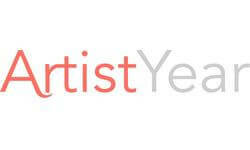 ArtistYear formally evaluates its impact on students, schools, and communities by tracking key indicators. Enable a Citizen-Artist National Service Year: Recent higher education arts graduates work full-time as “ArtistYear Fellows” in Title I schools. These exceptional young artists hold a deep passion for their art form and humanity, and aim to build equity in their local communities through arts education. Empower Active Youth Citizens: ArtistYear Fellows use issue-based arts education to enhance school culture and inspire active youth citizens. Students respond to, explore, create, and share socially-relevant and culturally-responsive content through artistic expression. Encourage Citizen-Artists Nationally: ArtistYear aims to build and support a network of Citizen-Artists across America based on a deeply engaged community perspective to strengthen the social and economic fabric of our nation. Through an interactive online platform, we will compile and share a wealth of open-source curricula and resources with artists, educators, parents, leaders, community members, and youth.